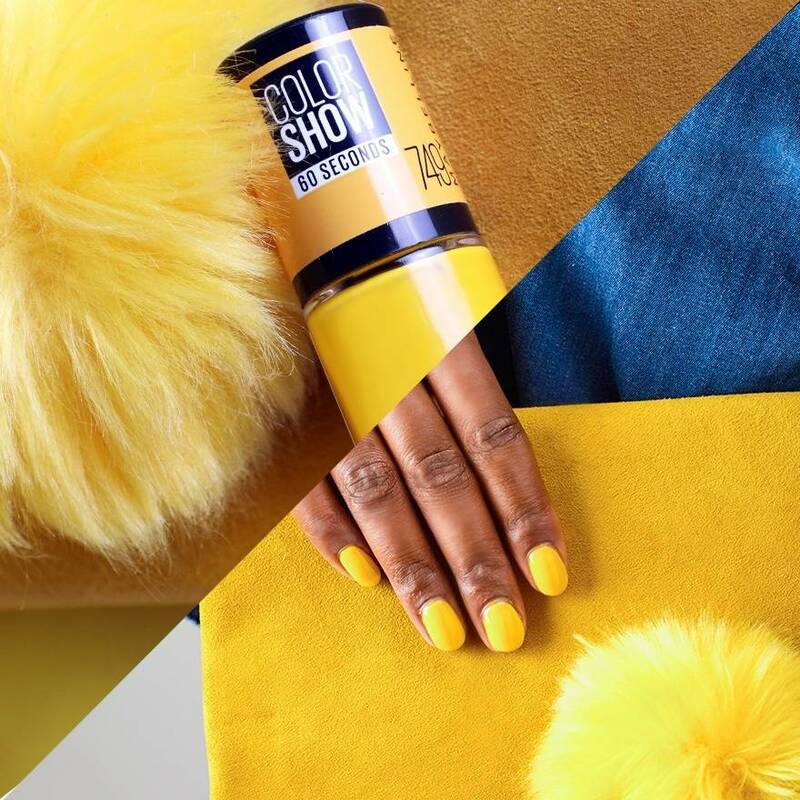 Now trending on fashion runways--nail polish colours and nail lacquer by Maybelline New York. Our full range of shades from witty blues and greens, precious metals, fresh interpretations of classic reds, berries, pinks, and nudes and exciting new textures are seen on today's fashion trendsetters. Whatever your mood, playful or sophisticated, subtle or daring, create the perfect at-home manicure and indulge your passion for fashion in the most colourful ways. With ultra refined sparkles and flexible, long lasting resin formula, indulge in up to 7 days of perfection. GLAMOUR AT YOUR FINGERTIPS. DAZZLE IN REDS, POP-OUT IN PINKS, OR STUN WITH ANY SHADE THAT FITS YOUR MOOD. Check out the latest trends and looks to help you take your nail game to the next level.